Its fascinating to discover how transparently mappable the world is becoming. Ogle Earth tracks how Google Earth is affecting geopolitics. 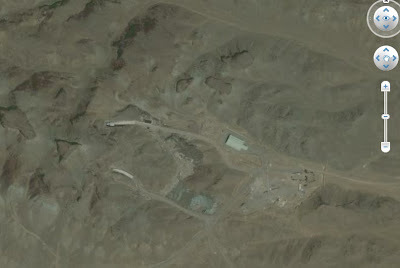 This Ogle Earth page (download the .kmz file location) shows you exactly where the tunnels into the mountains near Qom are. Amazing stuff..